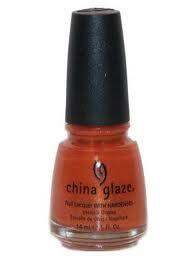 China Glaze Nail Polish, Orange Marmalade, 713, .50 fl. oz. Orange nail color with golden glass fleck shimmer. China Glaze Summer Days Collection.